I never got around to reading book one, Act Like It, but after having read Lucy Parker’s Pretty Face, book two in the London Celebrities, I couldn’t imagine not wanting to hop back into the West End! I always love the way Parker makes the West End so easily come to life in her books. Having read the previous book in the London Celebrities series, I think Making Up, book three, can easily be read as a standalone, but I did find the book slightly more enjoyable having read the previous one because we have somewhat of a better understanding of Trix. Plus, I always really like when previous characters pop back up throughout a series, but not reading the previous two books in the series isn’t necessary if you’d like to just skip to Trix’s story. Book three, Making Up, follows the story of Trix, who is an acrobatic aerialist in a West End show. After finally ending her verbally abusive relationship with Dan St. James, Trix is working hard at getting back in the swing of things at work. Her confidence has taken a beating since her ex, but she’s ready to prove herself. When the star of her show gets injured, she is suddenly forced into the spotlight and given a perfect opportunity, but a new hire on the make-up team is putting a damper on her impending joy. Trix and Leo Magasiva barely tolerated each other’s company for years, but suddenly they’re finding it harder and harder to understand the reasons for their mutual dislike of one another. Plus, Trix’s character was witty, fun, and a little on the nerdy side, which made her instantly likable! I was totally charmed by Pretty Face and I had no trouble just as easily falling in love with Trix and Leo! Parker’s characters always have such great banter and chemistry that leap off the pages! All in all, another great addition to the London Celebrities series by Lucy Parker and I look forward to reading more from her in the future! 4.5 stars of aerial excitement and make-up filled romance – rounded up for the passion and humour! This is the third book in the series, but can be read as a standalone. I have not yet found time to read the first book, but I loved book two, and we do spend quite a bit of time with Lily (Trix's bff) and Luc, so I would recommend that you read it first. The insight into theatre life is really captivating in both of these books, and in very different genres of performance. Trix has been brought low by a very dismissive boyfriend, and is nursing her confidence before it collapses completely, so her high school nemesis joining the crew just before she has to take on a bigger role is not at all helpful. But once she and Leo actually talk to each other about times gone by, prompted in part by their mutual school friend Ally, and bff Lily, things most definitely improve! I loved their meetings in the roof garden and could imagine all too clearly what it looked like. So many lovely scenes, and moments of love, support, and friendship, as well as some passionate and intimate ones (not always in the most private locations). 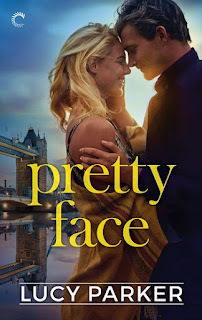 Their past, imperfect knowledge of each other was fleshed out in a wonderfully organic way, which is testament to Lucy Parker's writing style. I ended up reading through the night, as I could not stop until I knew just how she got everything to work out! For reviews & more info, check out our Pretty Face post. 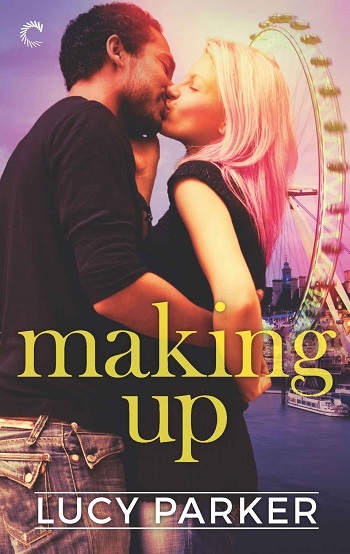 Reviewers on the Wicked Reads Review Team were provided a free copy of Making Up (London Celebrities #3) by Lucy Parker to read and review.